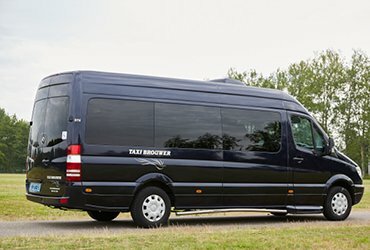 Brouwer Tours also offers safe and comfortable group transport for disabled, wheelchair-bound passengers by wheelchair coach or wheelchair van. 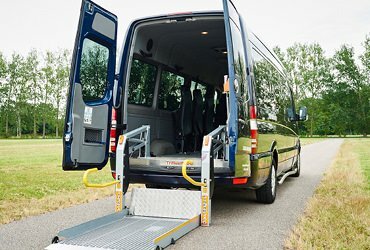 Both the wheelchair coach and the wheelchair vans are equipped with a modern and safe hydraulic wheelchair lift. The combination of modern technology and experienced and helpful “wheelchair transport” drivers ensures that your transport is perfectly arranged. Whether you’re planning a nice day trip or transport to and from a common destination, our drivers are at the ready for you. 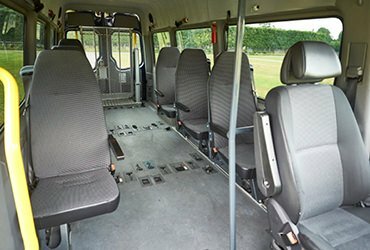 The wheelchair coach or wheelchair vans of Brouwer Tours offer people with and without a wheelchair the opportunity to travel together. As a wheelchair-bound traveller, you can stay seated comfortably in your own trusted wheelchair. 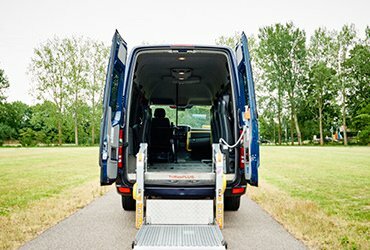 Your wheelchair is lifted into the coach with the help of the hydraulic wheelchair lift and is safely secured to a specially mounted floor rail. 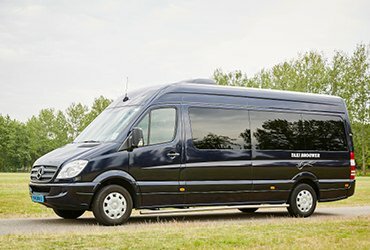 The wheelchair coach and wheelchair vans have a flexible design so that various configurations can be realized based on your wishes. The Brouwer drivers who transport wheelchair passengers are experienced and have knowledge of the current safety procedures regarding wheelchair transport. And of course, they stick to them. In 2001, the Dutch Code for the Safe Transportation of Wheelchair Users (VVR) was introduced nationwide. It describes how passengers in a wheelchair should be transported as safely as possible. It goes without saying that Brouwer Tours strictly adheres to this code. It speaks for itself that we transport wheelchair passengers carefully and that we take extra time to properly prepare ourselves and to tailor the vans and coach to the requirements. 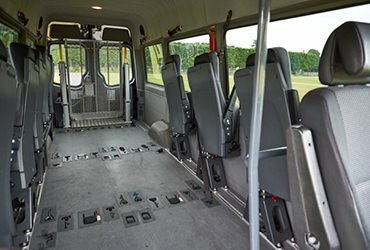 Do you want to use one or more small buses for wheelchair transport? Or do you prefer a coach where both wheelchair and non-wheelchair passengers can travel together? Please let us know your wishes; our staff will be happy to explore the various possibilities with you.